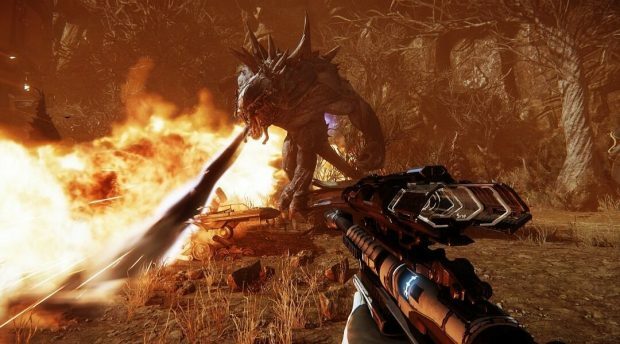 2k has announced today that they are going to shut down the dedicated servers for Evolve along with the in-game store starting on September 3rd, 2018. Though Peer-to-peer multiplayer will be still available in Legacy Evolve on PC and console. 2k support suggests everyone to spend all of their currency before the store shutdowns for good. These shutdowns will occur on two separate dates. On June 2, 2018, all virtual currency bundles will be removed from Evolve Stage 2 and will not be available for purchase. Dedicated servers will be shut down in September along with the in-game store. Don’t be worried if you have paid for the content since the game launched, 2K says all of your content will be accessible with the original retail version of the game which they are calling ”Legacy Evolve”. The bottom line is that the game will be still playable through peer to peer connections which looks normal for the players on the console while on PC, you will have to access Legacy Evolve version of the game by going into properties of the game then Betas and select Legacy Evolve – The Original Evolve Product.